Posted by Sisi Liu on 4/8/2019 11:58:37 AM. Audiobooks are the fastest growing segment in the digital publishing industry. While ebooks’ golden age has faded away, audiobook market is thriving. If you’re an audiobook lover, you must have heard of Audible.com – the world’s largest audiobook store. Well, audiobooks downloaded from Audible are in adh format. In this article, I’m going to illustrate what is adh file, how to download audiobooks on computer, and how to convert adh to mp3 format. 1. What is adh format? 2. How do I download audiobooks on my Windows? 3. How do I download audiobooks on my Mac? 4. How do I convert my Audible audiobooks from aa and aax formats to mp3 format? 5. How to cope with the variety of problems concerning with adh files? ADH is short for Audible Download Helper; it’s a downloaded Audible content. The admhelper.adh file is a protocol that assists the Audible Download Manager software in downloading your Audiobook(s) from Audible.com. It assists Audible Download Manager in taking all the pieces of your Audiobook file, pulling it from your My Library page, and importing it into either Audible Manager, iTunes, or Windows Media Player. In the following table, you can find a list of file information that is associated with .adh extension. .adh Audible Download Helper application/aa-dhelper Audible Download Manager Audible, Inc.
How do I download audiobooks on my Windows? Step 2. 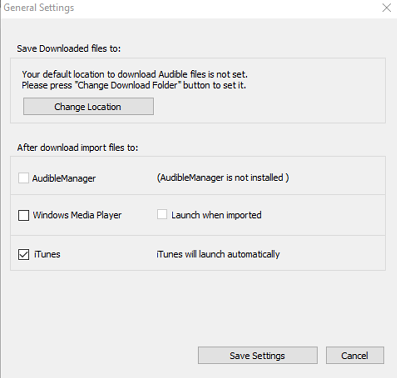 Configure your Audible Download Manager to import your audiobooks to iTunes, Windows Media Player, AudibleManager. Step 3. 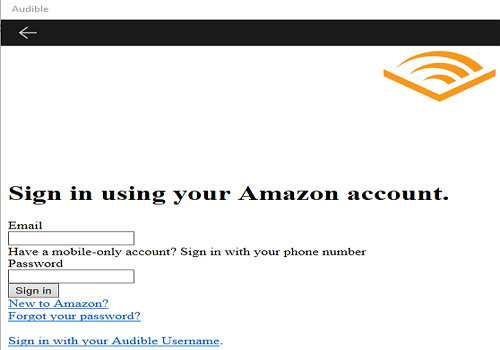 Access Audible.com and login Audible with your Amazon account. Then go to your Library Page from an internet web browser on your computer. Step 4. Click “Download” button next to the audiobook title you want to download, then you’ll get an admhelper.adh file on your Windows. It’s a very small file, shaped like a white downward arrows in a green square background. You need to open this adh file with Audible Download Manager. Step 5. 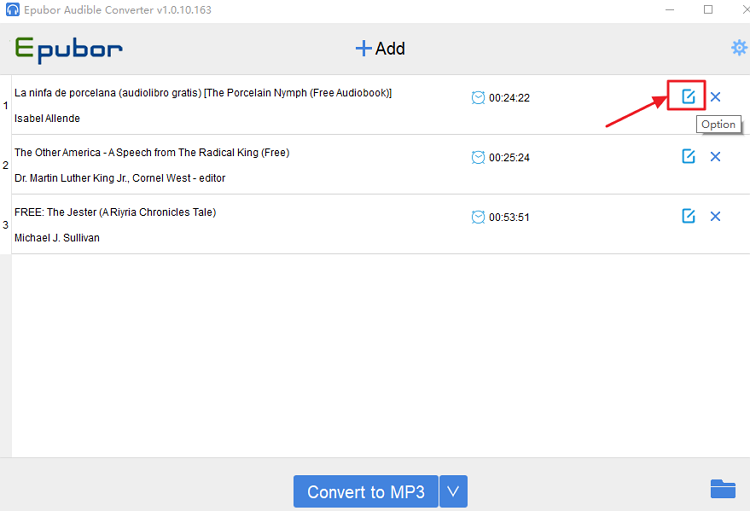 Audible Download Manager will open automatically and display the download progress of the audiobook. If the process is not initiated automatically, you can manually open the downloaded .adh file with Audible Download Manager, the complete audiobook will start to download. The downloaded file transformed from the adh file is a complete audiobook which is in aa or aax format. After downloading the audiobook, you can play it in the player you chose to import the file to. On Windows 10 computer, you don’t need to go to Audible.com website from a web browser to download audiobooks. 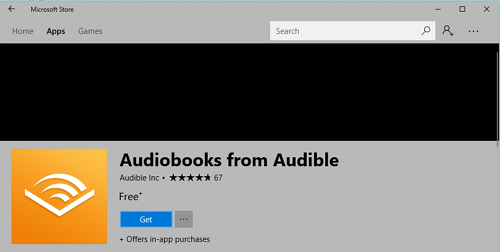 Instead, you can download audiobooks from Audible app available in Microsoft Store. Step 1. 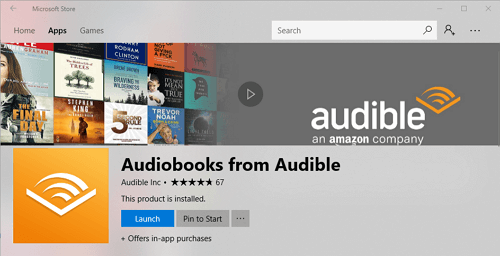 Download and install Audible app on your Windows 10 PC. 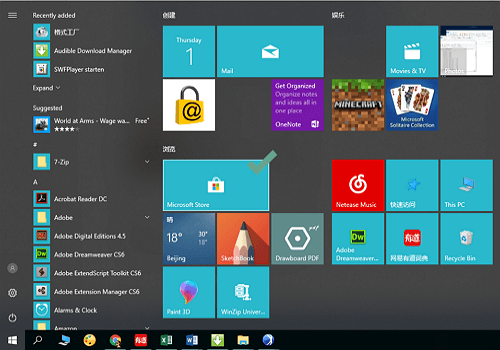 Go to Microsoft Store by clicking the Start button at the bottom left corner of your computer desktop. Step 2. Type Audible into the search bar, then select Audiobooks from Audible. Step 3. Click Get to download and install the Audible app on your PC. Step 4. After the Audible app installed, please click Launch and sign in the app with your Amazon account. Step 5. The Audible app will be launched and Library will appear after you sign in. 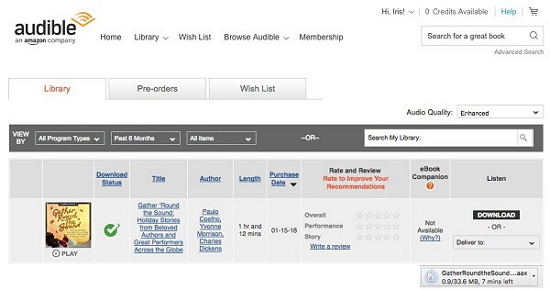 Click the three dots dropdown menu and click Download to download your desirable audiobook. How do I download audiobooks on my Mac? Downloading an audiobook to a Mac is a piece of cake. It doesn’t require you to install Audible Download Manager. Step 1. Access Audible.com and login Audible with your Amazon account. Then go to your Library Page from an internet web browser on your Mac. Step 2. Click Download button next to the audiobook title you want to download, then the complete audiobook file will be downloaded directly. 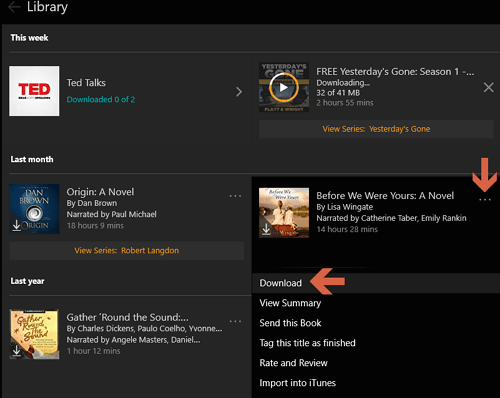 Once the download is complete, you can find your audiobook in the Audiobooks section of iTunes. If this is the first time you want to play audiobooks on your Mac, you need to authorize your computer with your Audible account to activate your Mac. How do I convert my Audible audiobooks from aa and aax formats to mp3 format? Actually we’ve already published two articles about this topic which illustrate the conversion process at large. Five practical methods of converting Audible to mp3 are elaborated in details in article Ultimate Way to Remove Audible DRM and Remove Audible DRM from Audiobooks Downloaded via Android Devices. 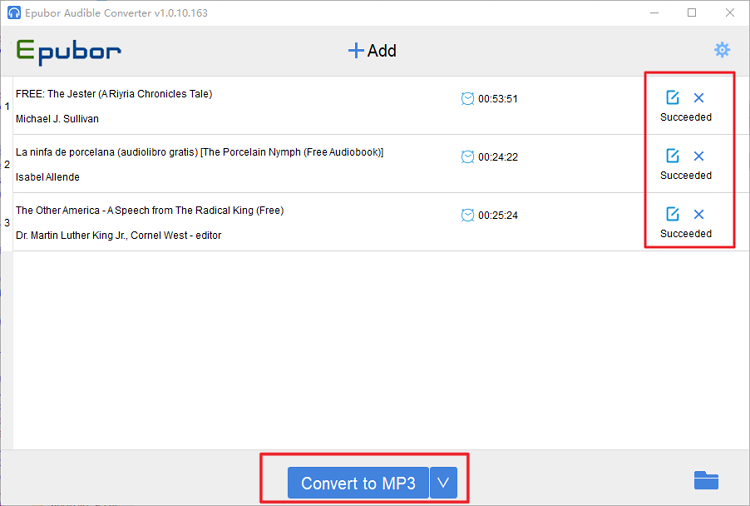 Click on "Convert to MP3" button at the bottom to start the process of removing DRM and converting your audiobooks to mp3 at the same time. Once it has finished, "Succeeded" will appear. Also, the folder holding the converted MP3 files will automatically pop up. 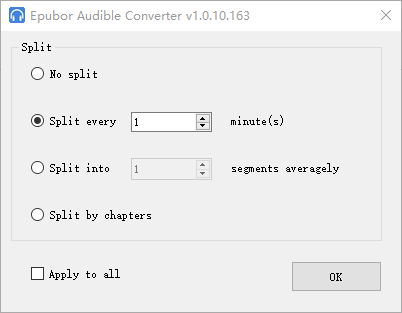 And also you can watch the following video to learn how to convert Audible to mp3 with Epubor Audible Converter intuitively. How to cope with the variety of problems concerning with adh files? Please check the articles in Audible Customer Service sections. What is admhelper.adh and why does it open in Notepad when I’m downloading an Audiobook? My Audiobook won’t download, but I see admhelper.adh instead. Why do I see admhelper.adh when trying to download an audiobook on Windows 10? 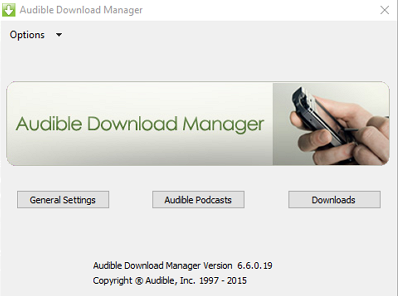 What should I do if I am unable to play my audiobook in Audible Manager? In the end, I’ve recorded a tutorial to guide you how to convert adh to aa/aax formats. Please check it out to learn how to download Audible audiobooks into your windows PC.